You know how enthusiastic (=gaga crazy) I am about Gini Koch's Alien series, so when I heard she had a new release coming out between two Kitty Katt books I was intrigued! I had to share with you news of this new publisher as I'm sure they'll release a lot of interesting books in the future so we'd better keep an eye on them. Everyone, I present you MUSA Publishing! After months of editing, designing, contracting, and formatting Musa Publishing launches on October 1, 2011. The E-publisher opens with a large catalogue including Penumbra Speculative Fiction eMag, new works by three bestselling authors, and the full backlist of Aurora Regency, featuring traditional Regency romances and historical fiction. Penumbra's inaugural issue is a collection of speculative fiction stories that encompass the arts--the arts we love and revere. Some of these stories deal with the arts we're familiar with. Some create arts we haven't thought of and some resurrect arts buried in the depths of the past. And yet, all of these offerings celebrate the creative process, which makes them a fitting theme to launch Penumbra--an enterprise that will showcase the creative work of speculative fiction authors each month with a new collection of works within the genre. Things aren’t what they seem to be when Princess Olivia of Andromeda jumps aboard a spaceship to escape a loveless marriage. Join the crew of the Hummingbird as they take on the rich, famous and sleazy of the galaxy. 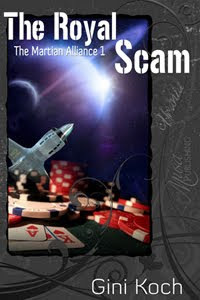 They're also on a long-term secret mission, so it's a good thing they're the best con artists, spacers, and roughnecks in the Milky Way, because they need all their skills to pull off this particular Royal Scam. More than gold awaits two lovers at the end of the trail. Mariah Tate and her dog, Worthy, persuade veteran guide Campbell Jefferson to let them join his expedition headed to California. Camp can't say no to the beautiful widow, but his need to protect her soon clashes with her need to keep secrets. Mariah left more than bad memories behind in Pennsylvania and her growing attraction to the stoic but surprisingly sensitive Camp forces her to face up to the consequences of the choices she's made. Camp doesn't know what Mariah's hiding, but he's determined not to let the only woman who ever made him want to settle down get away. 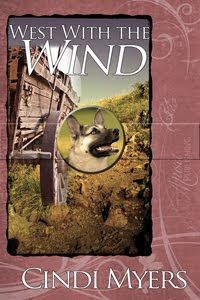 He pursues her across the prairies, through stampedes, Indian raids, desert drought and mountain snows. In the gold camps of California, Camp will discover Mariah's secret, and prove the love she wants most isn't out of reach. And the return to writing after five years for USA Today Bestselling Author Sharon de Vita! 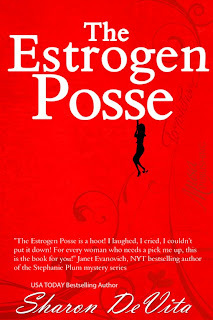 "The Estrogen Posse is a hoot! I laughed, I cried, I couldn't put it down! 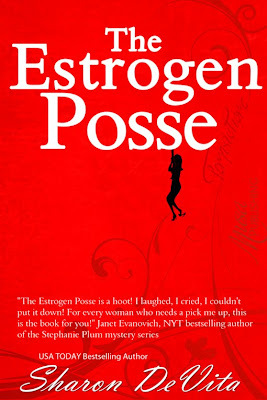 For every woman who needs a pick me up, this is the book for you!" Once upon a time Ellie Briotti had a quiet life as a suburban housewife. Until…she confronts her wealthy husband Nicky about doing the pecker polka with another woman, and Nicky tosses Ellie out of his life like some misbehaved household pet. Until…Gram Crackers, her dotty mother begins passing out house keys to homeless bums. Until…Joey, her eleven-year old son starts on a new career path: breaking and entering. Until…Rina, her best friend, a single, successful, entrepreneur learns she's about to become a mother. Until…Candi, Nicky's 22-year-old mistress turns up murdered with traces of furniture polish on her bare backside! A rip-roaring ribald mystery about a woman’s journey to discover what she really wants in life. Now, if Ellie can keep her son from becoming a second-story man, while trying to hide everything from the gorgeous cop who’s started sniffing around, Ellie might be able to get a new life. That is—if she doesn’t go to jail for murder first! Musa has acquired Aurora Regency and Aurora Regency Historicals. Within the next month over forty books in this line will be available to Regency and Historical Romance buffs to enjoy. 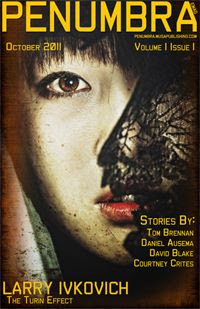 Stop by www.MusaPublishing.com check out the books already for sale as well as those coming soon. Over the next few weeks, Musa will offer literature geared for every reader's tastes. Musa aims to offer well writing, interesting stories, all at a price that doesn’t bite into your check book.